Take a glance out on the street today, and you’ll find that more than a few of the cars on the roads of Colorado are Hondas. It’s not surprising, given the reliable nature of their vehicles. But Honda hasn’t always been the household name it is today. Since its inception in the 1930s, the Honda brand has changed in appearance, focus, and designs more than a few times, but those changes have resulted in a line of vehicles that are highly acclaimed throughout the world. 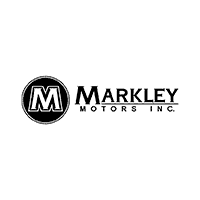 Markley Motors has also been a force for change in the Northern Colorado automobile field. Since embracing the Honda brand in 1973, the Markley dealership has helped families in Fort Collins, Loveland, Greeley, and beyond find the perfect Honda vehicle for their needs. Given our lasting relationship with the brand, we felt it was time to explore the larger history of Honda. Even from an early age, Soichiro Honda was fascinated by automobiles. In his youth, he would tune cars at a friends garage and enter them in local races. In the late 1930s, Honda founded his first company, the Eastern Sea Precision Machine Company to make piston rings for internal combustion engines. After a series of early setbacks, Honda’s fledgling company finally won a contract to supply the piston rings to Toyota, refining the quality of his products over the course of several years. During the Second World War, the Eastern Sea Precision Machine Company was put under the control of the Japanese government and was responsible for making propellers for military aircraft. But bombing raids from American B-29 airplanes destroyed one of Honda’s factories in 1944, and an earthquake in 1945 destroyed the second. Undeterred, Honda continued to develop engines and motors. Honda sold the remaining assets and shares of the Eastern Sea Precision Machine Company to Toyota, and taking the money, opened the Honda Technical Research Institute in 1946. Initially, Honda and his team attempted to make weaving machines, then frost glass windows, bamboo panels, and many other products, but none were terribly successful, and failed to hold Honda’s interest. However, one day Honda stumbled across a stache of military surplus two-stroke motors that were meant to power wireless radio sets. Honda saw potential in these little motors and looked at the widespread use of bicycles in Japan and realized that the two were an obvious match. Working with a team of 12, Honda took over a small factory in the city of Hamamatsu. Together, they started producing small displacement engines and mounted them to bicycle frames. Designed to run on turpentine, the small, and rather crude, motorcycles were a hit in Japan, as the country was short on gas and needed a faster way to get around. The incredible number of motorbikes sold meant that Honda could expand his operation. In 1949, he liquidated the Research Institute and created Honda Motor Company, LTD.
For the next few decades, the Honda Motor Company would be content to make small displacement motorcycles, quickly growing to be the largest manufacturer of motorcycles in the world. But never content to settle, the company began working on automobiles as well. In August of 1963, Honda released the T360 mini pickup truck. Soon after, Honda released the S500 sports car. These cars were natural evolutions of Honda’s motorcycle manufacturing focus, as they both sported rear-wheel chain drives. These two cars were met with acclaim and success in the Japanese market, which was radically expanding in the post-war period. With an interest in expanding its fleet of cars on the international market, Honda began designing a new sedan with the American market in mind. In 1973, Honda was ready to take on the American market, dominated by names like Buick and GMC. They released the Honda Civic to buyers in Denton, Frisco, and Lewisville. These cars were wildly popular, especially in the midst of the OPEC oil crisis in the mid-70s. The extremely fuel-efficient Civic meant that Americans could spend less at the pump and feel good about driving their new Honda, as it was the first car to meet the EPA’s new Clean Air Act standards, even without the use of the catalytic converter. Honda’s popularity wasn’t limited to just the Civic. A few years later, Honda released the Accord in 1976. The larger sedan still enjoyed incredible fuel economy while offering drivers and passengers a little more room. Released in 1976, the Accord became America’s best selling car by 1989. To more aggressively target a wider segment of the market, Honda launched its Acura line of luxury cars. These cars found widespread success across the United States. To compound on their success with both cars and motorcycles in the U.S., Honda decided to begin manufacturing parts and materials for their vehicles in the U.S., making them the first Japanese auto company to do so. By 1980, Honda factories in America were producing cars to be exported back to Japan. Throughout the 1980s, Honda aggressively pursued, researched, and developed innovative features at both of its R&D labs in Japan and America. These studies would result in the production of the NSX supercar, a completely innovative vehicle that was the first of its kind. Making use of an all-aluminum structure and a V6 mid-engine with variable-valve timing, the little sports car was designed to perform as well, if not better, than a Ferrari. As the turn of the 21st century neared, Honda released some of the mainstays of its lineup, like the CR-V compact SUV and the Odyssey minivan to address the gaps in its fleet of vehicles. These two vehicles have proven to be enduring additions and continue to be best-sellers in their respective fields. But more than just new vehicle designs, Honda continued to experiment with new engine designs. 1999 saw the release of the first hybrid electric car in the U.S. A few years later, Honda released its flex-fuel system in 2006. By 2008, the motor company had produced hydrogen fuel cells and followed up on that success by releasing the totally electric Fit EV in 2012. In addition to cleaner, more efficient powertrains, Honda has also invested time and energy into making their vehicles some of the safest on the road. Recently, several Honda vehicles have been listed as a Top Safety Pick by the Insurance Institute for Highway Safety. The winners included the Accord, CR-V, Pilot, Odyssey, and Ridgeline (which was the only truck awarded the Top Safety Pick title). The latest line of Honda’s now come with the Sensing Suite. Designed specifically to enhance the driving experience and make it safer for driver and passengers, the Sensing Suite is meant to protect everyone before, during, and after a crash. These systems include the Collision Mitigation Braking System, Lane Departure Warning, and Forward Collision Warning. Additionally, other systems are available like Road Departure Mitigation, Adaptive Cruise Control, and Traffic Sign Recognition. Today, Honda is one of the largest automobile manufacturers in the world, with more production facilities in the U.S., China, Canada, Japan, Pakistan, England, Brazil, Mexico, Indonesia, and New Zealand. In the U.S., nearly all of the Honda vehicles sold were produced in America. You can enjoy Honda’s commitment to innovation, safety, and reliability when you get behind the wheel of a new car, truck, or SUV today. 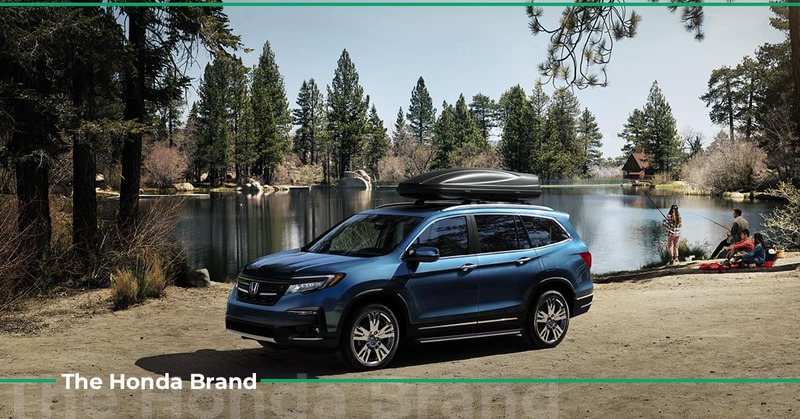 Whether you’re in need of a great commuter car for your daily drive to and from Loveland, in need of a work-ready truck for life in Longmont, or just need a great SUV to explore the hills outside of Fort Collins in, Honda has the vehicle for you. A quick trip to Markley Motors lets you see the complete lineup. Serving Fort Collins and the Northern Colorado community since 1936, Markley Motors makes it easy to shop for a new vehicle. With some of the best financing options around, affording your new Honda is easy. We also make caring for your new car, truck, or SUV just as easy. With an on-site service department that only uses quality OEM parts, our auto repair and auto glass shops can keep your Honda roadworthy for years to come. Stop by our Honda dealership in Fort Collins today to experience the Markley Difference first hand!